What does violence do to the lens of our military service members? How is the impact transmitted to their families, their psychotherapists? The increased awareness of violence towards others, and associated fear of violence towards oneself, has an undeniable effect. 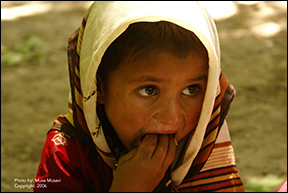 Those who are directly affected are often devastated while, for all, the effects are disturbing and destabilizing. The experience of our American heroes, our active service members and veterans, and our children - those to whom the future will be entrusted - will be highlighted. Dr. Kimbles explores violence and cultural complexes. Dr. Rosenthal discusses the profile of America’s military service members and veterans, aided by faculty who worked in the Department of Veterans Affairs. Dr. Alvarez presents on the archetypal as a foundation for clinical response to violence-related trauma, followed by Dr. Marlo discussing Jungian and depth oriented contributions to understanding and healing complex trauma. This workshop aims to broaden the Jungian “understanding” of today’s violence, and to further critical discussion. Scott Alvarez, PhD is a clinical psychologist and analyst member of the C.G. Jung Institute of San Francisco who works with adults, adolescents, and couples in private practice in Oakland and Walnut Creek. He worked for many years with Vietnam combat veterans in clinics in New Hampshire and Vermont, and in California at a Department of Veterans Affairs Vet Center. Sam Kimbles, PhD is a clinical psychologist,member of the C.G. Jung Institute of San Francisco, and clinical professor, Department of Family and Community Medicine at University of California, San Francisco. His books: The Cultural Complex: Contemporary Jungian Perspectives on Psyche and Society (with Tom Singer), and Phantom Narratives: The Unseen Contributions of Culture to Psyche, explore the themes of psyche in groups and society. Helen Marlo, PhD, an analyst member of the C.G. Jung Institute of San Francisco and licensed clinical psychologist, who works with adults, children, and infants in her San Mateo private practice. She is Chair of the Clinical Psychology Department at Notre Dame de Namur University where she is a full Professor. She serves as Reviews Editor for Jung Journal: Culture and Psyche. 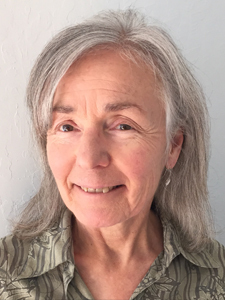 Johanna Mayer, PhD is an analyst member of the C.G. 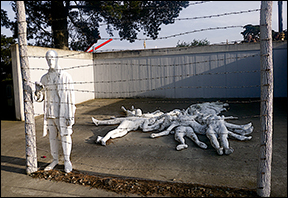 Jung Institute of San Francisco and a clinical psychologist with a private practice in Portola Valley. She is Emeritus Adjunct Assistant Professor at Stanford University School of Medicine. For over a decade, she worked with WWII, Korean and Vietnam era veterans at VA Palo Alto. Joel Rosenthal, PhD is a clinical psychologist and National Training Director, VA Veterans Justice Programs, and was previously at VA Palo Alto working with serious mental illness, PTSD, homelessness, addiction, and criminal recidivism. He has co-authored multiple publications regarding justice involved Veterans including ”Incarcerated Veterans” in Special Needs Offenders in Correctional Institutions. He has been in private practice since 1990, with an interest in Jungian psychology dating to his doctoral dissertation, Shadow as a Factor in Psychotherapy. 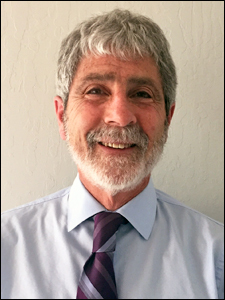 Brief Bio : Joel Rosenthal, PhD is a clinical psychologist and National Training Director, VA Veterans Justice Programs, and was previously at VA Palo Alto working with serious mental illness, PTSD, homelessness, addiction, and criminal recidivism. He has co-authored multiple publications regarding justice involved Veterans including ”Incarcerated Veterans” in Special Needs Offenders in Correctional Institutions. He has been in private practice since 1990, with an interest in Jungian psychology dating to his doctoral dissertation, Shadow as a Factor in Psychotherapy. 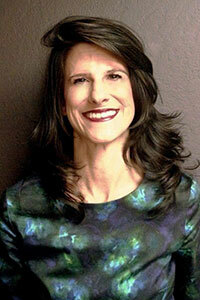 Brief Bio : Johanna Mayer, PhD is an analyst member of the C.G. Jung Institute of San Francisco and a clinical psychologist with a private practice in Portola Valley. She is Emeritus Adjunct Assistant Professor at Stanford University School of Medicine. For over a decade, she worked with WWII, Korean and Vietnam era veterans at VA Palo Alto.